Is your blog like everyone else's? Do you ever wonder if you'll ever be able to STAND OUT? The fact is that there are over 200 Million blogs in existence today. If you're starting a blog (or if you've been working at building your blog) and you want it to be successful, you can't just do what everyone else is doing. You've gotta be a bit different. That's exactly what we're going to tackle in this week's episode. I'm going to be sharing 5 tips that can help your blog stand out from the crowd, and sharing specific examples to help us all understand how simple things can really help us all build better blogs. Ok, I know what you're thinking. You're saying to yourself – “Leslie, that's too simple, and you gave it all away in these short show notes. I don't need to listen to the episode”. Trust me when I say this – it's not as simple as reading those five tips and moving on. There are specific ways that you can implement them to have maximum impact, and in the episode, I give very specific examples of how I have used some of these tips and how others are using some of these tips in very effective ways. So go ahead and have a listen. I've been working on the restructuring of Become a Blogger and I'm very excited. As a part of the process, I'm looking for writers who are knowledgable about blogging. If you'd like to write for Become A Blogger, please fill out the Writers Application Form and we'll get back to you soon. 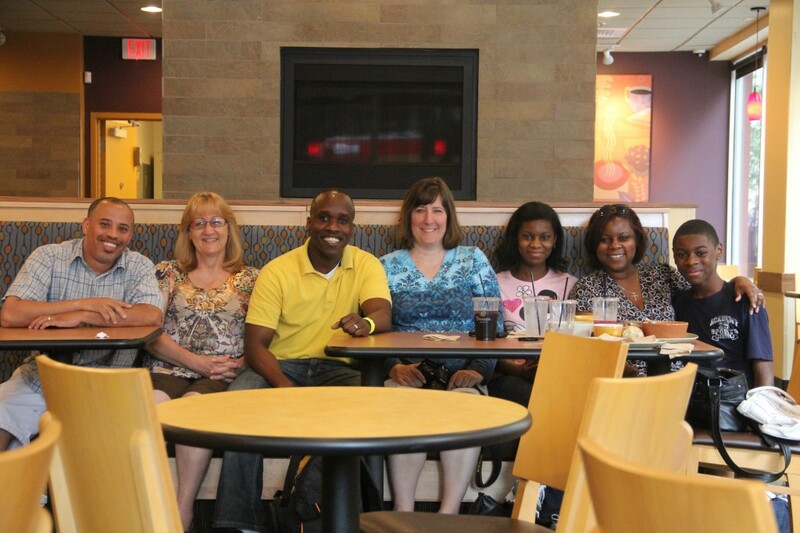 I just came back from speaking at the Savvy Blogging Summit in Cincinnati, Ohio, where I had a meetup with some great people. Thank you Butch Gibson, Vickie Sceifers, Anita Edwards. It's just awesome to be able to connect with people in person – especially people who have been impacted by the work you do with your blogs. Yes, I'm a firm believer that we can Create Content, Inspire Others and Change the World and this fine group of people have really reinforced that concept in my mind. Thank you guys. YOU ROCK! The Joy Of My Daughters – An excellent example of how Jacqueline Cromwell used a story effectively to increase a connection with her audience. The most AWESOME squeezepage ever – How Dan really caught my attention and made me laugh with his squeeze page. I've never laughed at a squeeze page until this one. The Social Media Marketing Report – An example on how to create a resource based on extensive research. Interview With Michael Stelzner – Episode 116 that Cynthia Sanchez referred to in her call. 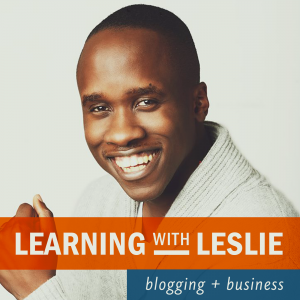 My Vision for the Future of the Become A Blogger Community – The episode referred to by Joseph in his message where I share my vision for this blog and what's happening on August 1. So excited I’m your first comment on this particular post!! It was so great to meet you in Cincinnati last weekend. I must admit I get a little “star struck” when I meet people in person that I’ve “met” online and you were no exception! And thank you for being exactly like how you are online! Authenticity for sure! Looking forward to seeing how the blog develops. Sound like an amazing plan. Well thank you for your comment Vickie, and thank you even MORE for coming to the meetup. It was GREAT to meet you in person, and I hope to connect with you again! I love your tip on doing a Rearching and Survey within your industry. Definately something I am going to implement. Thanks Vivienne. I’m actually thinking about ways to implement that here at Become A Blogger too. If you do it on your blog, make sure to come back and let me know how it goes. I remember back 4 years ago when I first learned about become a blogger. Back then it was Yaro who did the videocasts and podcasts. The first time I watched a video on how blogging has done such big things for Yaro, I was blown away! From that day on I knew I always wanted to have my own blog, and share my knowledge about web design. But 4 years ago I did not really have the skills I have now, although I was very passionate about my craft I really did not have the experience and online reputation to give people tips and teach web design. 2.) I just wanted to start writing about my ongoing projects on web design. I am looking forward to learning more here on become a blogger and using it on my blog. I am even planning to do video tutorials and podcasts soon. Bad? That’s AWESOME! Keep up the great work. Glad to hear that you were able to get your blog going and that you are doing so well. Keep it up man. That’s AWESOME stuff! Great episode Leslie! Thanks for the tips and the fun resources! I was tempted to click on your link to Most Awesome Squeeze page ever. Are you kidding? I hated everything about it. Everything! My take home message: be yourself, and don’t copy others unless you like what they do. Then try to do what they do, but in your own way. LOL. Hey – it was given as an example of being Unique, and it was definitely unique. It made me laugh, and yes – I did opt in. I hardly ever opt in to ANY lists these days, but this one was different – and it got me. Will it work for everyone? Nope. Will you like everything I like? Nope. And this is the beauty of your last statement. We are free to be ourselves. Isn’t it great? Leslie, your passion and commitment for helping others truly shows. I can tell that you live by your five steps to stand out, especially the “Be as YOU as you can be”, and your talent for telling your amazing stories. Thank you so much for what you do and keep up the great work. As I said in my voice message to you, I will be there August 1st and I cannot wait to what you have done with the new Become-a-Blogger. Bloggers always seem to be afraid of doing something different. Every post is about SEO or ROI. When I see one that’s about a different topic, it’s like a breath of fresh air. Glad you enjoyed. Hope you actually listened! I would add 1 further point. A blog has to be interesting enough to ensure that people come back regularly to check for new articles. Marketing 101, it’s easier to keep a customer than trying to continually attract new ones. Yep, great tip Simon. Thanks for sharing. Nice tips! I would recommend focusing on content marketing. We have to create super awesome blog posts to stand out from the crowd. Content is vital in SEO, social media marketing, email marketing and in almost all of online marketing strategies.